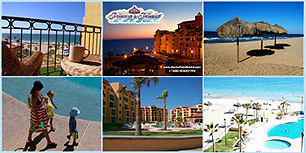 The Princesa de Peñasco Resort is privately owned and cared for. Why would you stay at a hotel when you can have so much more at our Resort? Graciously decorated for your enjoyment, our units come with one, two and three bedrooms and private bathrooms. A pull-out-sofa is available for two additional guests. You can expect a full kitchen, including a refrigerator, stove, microwave and dishwasher; along with all necessary cookware, glasses, flatware, utensils and appliances, including a coffee maker. We are confident that after comparing, you will be back, as many of our repeat rental clients who call our resort their home away from home. Princesa de Peñasco is the first major development in Rocky Point to include all underground utilities (gas, water and electricity). If you are familiar with Rocky Point, you know that it is very difficult to find a rental property with utilities, unless you stay at the usual "chain" hotels. The units are fully air conditioned (central air) and include TV with satellite cable and a VCR, and even a stereo with CD player - so you can mix the sounds of the waves with your favorite music, while enjoying the beautiful ocean view. Don't worry about packing too much, as the units come with a laundry room with a washer and dryer (we even provide detergent and dishwashing soap), iron and ironing board. We want you to spend more time on your pursuit of rest and relaxation. When was the last time you peacefully read a book while enjoying the ocean breeze? There is even a convenience store on site and even a restaurant next door. They not only serve delicious food but they also deliver right to your condo. 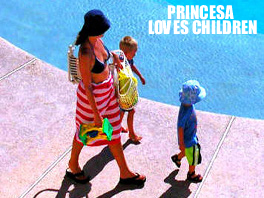 The Princesa is located on a private enclave of Sandy Beach: Rocky Point's most beautiful beach. Yet is a short drive or even a scenic walk along the beach to town. You will enjoy the privacy and being away from the vendors, fireworks and the undesirable crowds, but close enough for short trips. The road leading to Princesa is fully paved. At Princesa de Peñasco we emphasize on safety and the entire property is gated and offers security 24 hours per day. In order to preserve the privacy and family oriented atmosphere of our complex, you and your guests will be given a bracelet to wear during your stay. Princesa Condominiums is now the "headquarters" for many of our rental clients who sometimes prefer not to leave. Princesa consists of 220 upscale condos in a half-circle of golden, doomed high-rises facing the sea. The units are privately owned and most are available for rent throughout the year. You have a choice of renting a 1, 2 or 3-bedroom unit. All condos come fully furnished. And the "comforts of home" ranged from a full kitchen (including dishwasher) with all cooking and dinnerware to washer/dryer, CD/DVD player and cable-driven TVs. Not that you would plan to spend much time watching TV. Outside in Princesa's common area lay three magnificently blue-tiled swimming pools (heated in cooler months). But even more inviting, is the beach, a mere 50 feet beyond poolside. Sand and surf here are relegated exclusively to the pleasure of Princesa's owners and guests. You can find the irresistible opportunity to trek down with your chair, towel and a book, and plop yourself near the hypnotic rushing of the waves. You will find a private niche in time. Princesa is an ideal focal point from which to make shopping and dining forays in town, just a few minutes' drive away. But the solitude and all creature comforts close at hand will also afford you the ultimate retreat where you could pull back from the world's more pressing problems and get in touch with its more precious distractions..
Princesa Luxury Condo Rentals is brought to you by Rocky Point Travel - Rocky Point's Travel Agency.